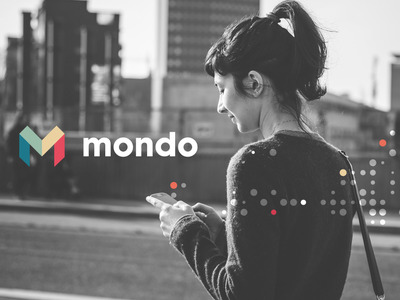 MondoMondo is an app-only startup bank. 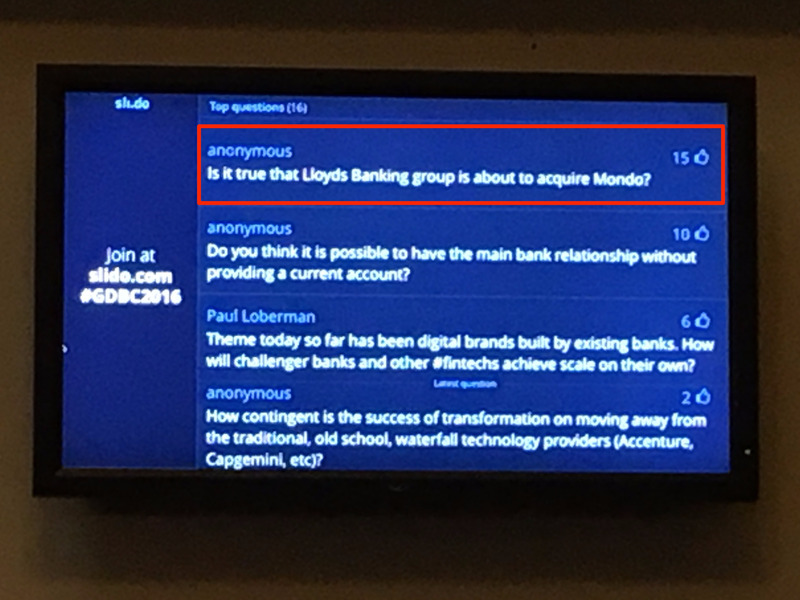 Lloyds CIO was asked at a conference on Thursday about a rumour that the bank is about to acquire startup bank Mondo. 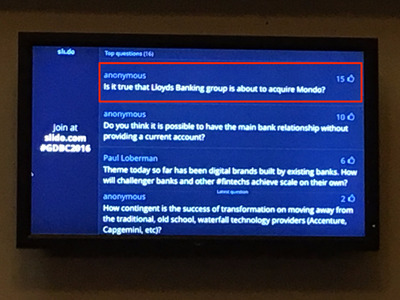 The audience of bankers at the RFi Future of Retail Banking conference in London could submit questions for speakers using an app. Questions were then flashed up on screens around the room. The question was submitted by an anonymous user and received 22 upvotes on the system. Webster answered the question by jokingly saying he could neither confirm nor deny, before going on to say “there are an awful lot of things that can be learned” from Mondo. Panel moderator David M Brear closed off the question by cheekily noting that Webster’s answer was not a no or a yes. Mondo was valued at £30 million in a £6 million fundraising earlier this year. That raise included a £1 million crowdfunding, which was completed in just 96 seconds. Mondo is one of several UK-based so-called “neobanks” — app-only, startup banks. Rivals include Tandem, Atom, and Starling. All offer data-heavy analysis of people’s spending and mobile-focused communication. Unlike its rivals, Mondo is yet to be fully licensed by the Bank of England, meaning at the moment it is only able to issue pre-paid cards that have money loaded onto them through the app rather than debit cards. Mondo confirmed earlier this week that it is having to change its name over a trademark dispute. It is asking people to suggest its new name and anyone who wishes to suggest a new name can do so here or on Twitter using the hashtag #NewMondo. Mondo wants to keep its logo and branding, so all suggestions have to begin with M.